On one level, a fragrance; on another, a round-the-world adventure full of vibrant scenery: the brand-new Missoni Parfum Pour Homme marks Missoni's triumphant return with a masculine fragrance that simply exudes prestige. The captivating freshness is inspired by the Mediterranean landscape warmed by the sun. A woody fragrance both fresh and luminous, full of contrasts, a precious scent reflecting the colors of the Mediterranean Sea. Leaves and pulp of Green Lemon and Ginger, together with Pink Pomelo mix the timeless, aromatic notes of Lavender Aspic, fruity Pomares and a light touch of Jasmine Petals. The dry-down contains comforting notes of Sandalwood, as enveloping as a precious Missoni cardigan, with the passionate, sensual and masculine touches of Oakwood, Birch, Patchouli and vibrant Musk's. Designed for the seductive man who has an elegance to match but who is never conventional. 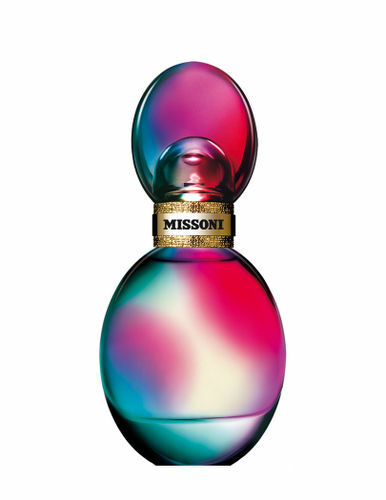 Alternatively, you can also find many more products from the Missoni Parfum Pour Homme Eau De Parfum range.